There is now very exciting data to show that biologic treatments can provide meaningful relief of joint pain. At Davidson Orthopedics we use an array of injectable material to relieve joint symptoms. Depending upon an individuals exact situation the modalities used can include: Hyaluronic Acid, PRP (platelet rich plasma), Stem Cells (autologous and allograft), and a plasma derived injection to remove harmful proteins from damaged joints. All these modalities are designed to decrease pain, improve function and protect the joint. In some circumstances there can be actual regrowth of native tissues. Biologic Joint therapy is currently being used at Davidson Orthopedics for cartilage restoration in adults. Preliminary findings suggest that damaged joints are actually being restored. This is very exciting, as other (more common and historical) forms of injection and medications only serve to decrease inflammation and do not actually restore tissues. Active Biologic Material (including stem cells) can promote healing, decrease inflammation and decrease pain in many cases. The most current thinking on the topic of “stem cell treatment” is that the small byproducts of the cells, the exosomes, are actually signaling the nearby cells and contributing significantly to the healing effect of this biologically active treatment. In certain cases the living cells may be used, in other instances the exosomes may be recommended. In addition, stem cells may be obtained from donor tissue or from one’s own body. Treatment with Dr. Davidson is customized to reflect the most current science and the individual situation of each patient uniquely. Platelet Rich Plasma for Joints: PRP- Leukocyte Poor. The blood carries 3 basis cell types. Simply put, white blood cells fight infection, red blood cells carry oxygen and platelets promote healing and clotting. The platelets can be harvested and isolated from a patient’s own blood and then using a formulation without the leukocytes, can be injected into a joint to promote healing, decrease inflammation and diminish pain. This is often combined with Hyaluronic Acid ( many times called “joint lubricant”) to maintain optimal joint health. Platelet Rich Plasma for damaged Tendons: PRP- Leukocyte Rich. Platelets are the bodies natural healing agent. They conduct healing by secreting Growth Factors. When this type of treatment is injected into the site of damaged tendons it can actually promote healing, relieving pain and improving function. In many studies, it has been shown that using PRP is more effective and provides a more long-lasting solution than does the use of steroid or “cortisone”. Dr. Davidson often uses in-office visualization probe to assess the joint and inject regenerative materials. 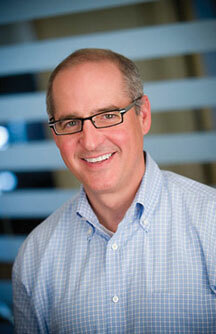 Dr. Davidson utilizes the most state-of-the-art, cutting edge technology. The Trice mi-eye is used in the office to visualize inside of the joint with a very small probe. This allows Dr. Davidson to see the intraarticular pathologies as well as to facilitate the delivery of biologicals.